Where Cash Is King, What Happens to Patients? I’ve started hearing more about physician practices that are opting out of the health insurance system and taking cash for services. See Cash-only looks good to doctors in Healthcare Finance News as an example. I can understand the appeal. After all, it’s an expensive and frustrating hassle to deal with health plans and Medicare, and can interfere with the doctor/patient relationship. In theory physicians should be able to offer the same level of care while reducing overhead costs and splitting some of the savings with patients. If those patients have high-deductible plans it should work out for everyone. The Healthcare Finance News article cites a practice in Austin that doesn’t take insurance and has no administrative staff. Result: office visits for $30, which is about the typical co-pay. Well done. But I do worry about other physicians in both primary care and now specialty care that are moving to more of a concierge model. If it happens in any great numbers there will be a serious capacity problem in the system. That’s because the shift is often accompanied by a dramatic reduction in the number of patients served. It’s sometimes an order of magnitude. The same article describes a practice that cut its patient panel from 8000 to 1000. I’ve heard of primary care physicians going from 3000 to 350 patients. The big question is what’s going to happen to all the patients who lose access to those physicians –the slack will have to be picked up by other providers. In primary care, maybe the emergence of concierge practices will have a silver lining by boosting compensation for primary care in general and drawing more physicians into the field, helping to correct an historic imbalance in pay ratios between primary care and procedural specialties. Specialty physicians opting out of insurance is more concerning, but for other reasons. As difficult as insurance companies are, sometimes they do add value by making doctors and patients jump through hoops before approving lucrative –but often unnecessary– procedures like spinal surgery. And there is a tendency to price gouge–which will be only partially mitigated by “transparency” tools that are coming into vogue. For patients who are willing to spend more money for better care the best value may be in joining a concierge primary care practice rather than opting for cash-only specialists. The primary care doctor will have the time and skill set to consider the patient from a holistic standpoint, to refer to the right specialists and make sure the patient gets seen, to coordinate second opinions and follow-up and to offer their own views about topics such as whether to have surgery. 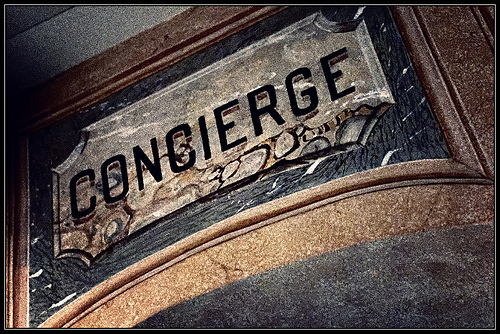 I’m actually considering a concierge practice for my own care, but I may be too late. A single-doctor primary care practice I spoke with is not taking new patients. Emails I sent to two other local concierge practices inquiring about becoming a patient there were ignored.